There may be a new man of the house in John Krasinski's sequel to A Quiet Place. 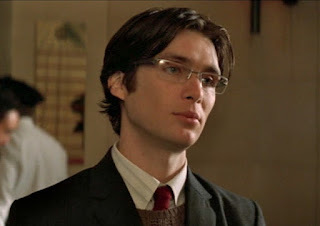 According to THR, Cillian Murphy (28 Days Later) is in talks to join Emily Blunt, Noah Jupe, and Millicent Simmonds who are all reprising their roles from the hit 2018 horror. Details about the plot are, of course, being kept a secret but Murphy is reportedly playing a mysterious man whose intentions towards the family are unknown. The previous film followed the family unit as they tried to stay silent in a world overrun by noise-targeting monsters. Krasinski, who directed and starred in the first movie, will get back behind the camera and also write the script. There's every chance Murphy's character will somehow be worse than the creatures. He's just great at playing deeply disturbed, creepy villains and I have no doubt that's what he'll be doing. Then again, Krasinski may be casting against our expectations. Shooting on A Quiet Place 2 may begin as early as this summer.